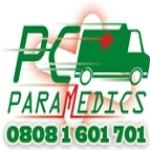 We are PC PARAMEDICS the 24/7. Call Out Computer Breakdown. Recovery and Maintenance Service. Is your business listed for Computer Services in Wigan?